Pub showing sports events, with an outside terrace. Built in 1856 as the Odell Arms, the pub was demolished in 1971 and re- built in 1974 as ‘The Red Anchor’ then, in 1989 re- named’ The Sporting Page’. The Music video ‘One Love’ was filmed in and around the location with shots of the Worlds End estate. Many of the children including the star of the video lived in the estate and went to school around the corner at Park Walk Primary school. In the 70’s and early 80’s Mick Jagger was said to be a part of the local party scene, spending lots of time with Princess Margaret. 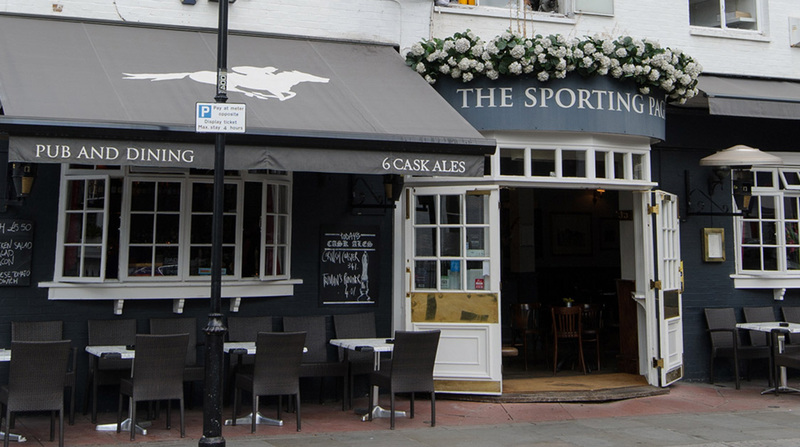 Now The Sporting Page, as a Chelsea institution, is a constant magnet for stars of the sporting, film and TV world.